The task may have seemed daunting to many, but to Brad Camarda, it was just another game to go out and win. Camarda was handed the ball Monday to open the baseball season for Half Hollow Hills West. 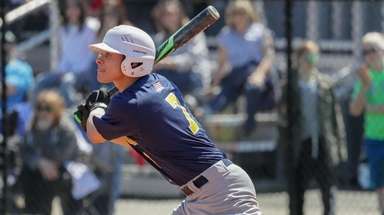 The sophomore righthander was facing defending Long Island Class AA champion West Islip and its junior ace, James Kory, who went 10-0 last season. Many young players would fold under that kind of pressure, but Camarda is a different breed. 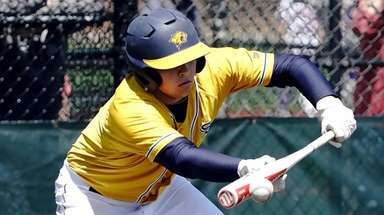 He scattered five hits, struck out three, walked one and hit one in six innings as Half Hollow Hills West beat top-ranked West Islip, 7-2, at Baseball Heaven in Yaphank, handing Kory the first loss of his high school career. 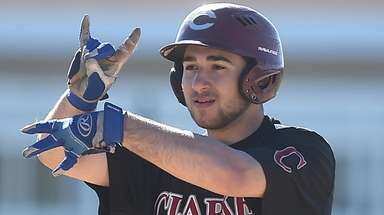 "I keep it cool," Camarda said after his first varsity start. "I knew we'd hit. I treated it like any other start and went out and threw strikes." After Kory struck out four in the first two innings, Hills West got back-to-back singles from Sean LeGuernic and pinch hitter Peter Jacobs in the third before Josh Wende walked to load the bases. Nick Lombardi reached on an error, allowing LeGuernic to score, and Tyler DeLucia followed with a sacrifice fly for a 2-0 lead. 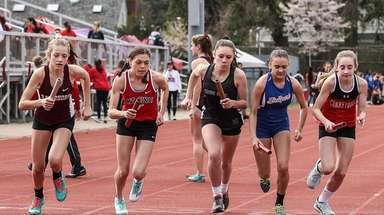 "We had to break the ice there and not let Kory get too comfortable and get on a roll," Hills West coach Tom Migliozzi said. Camarda cruised through the first three innings but ran into trouble in the fourth when he hit Rich Zec with a pitch, walked Nick Valenti and allowed a single to Alex Barbera to load the bases with two outs. He picked up a swinging strikeout on a 2-and-2 fastball to end the threat. "It was a critical moment for him to work himself out of the jam," Migliozzi said. "He's young and has good composure." Matt Feinstein led off the bottom of the fourth with a single, moved to second on a sacrifice bunt and scored on LeGuernic's single up the middle to make it 3-0. "It felt great to make something happen," LeGuernic said. In the fifth, Camarda got help from Wende, who crashed into the leftfield fence in foul territory while making a spectacular catch. But Hills West's failure to cover second on a potential inning-ending forceout ultimately cost Camarda the shutout. After a wild pitch put runners on second and third, Zec's two-run single up the middle cut the deficit to 3-2. Jon Faraci hit a two-run homer and Feinstein had a run-scoring double as Hills West answered with four runs in the bottom of the inning. Kory, who was charged with seven runs, allowed six hits and struck out seven in 41/3 innings. 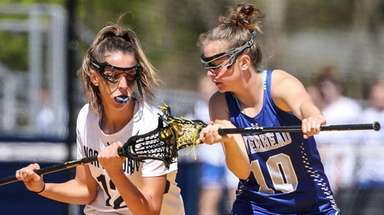 "We have to win the week," West Islip coach Shawn Rush said of the three-game series. "It's not how you start but how you finish."